Close-up of Sweet Potato leaves. 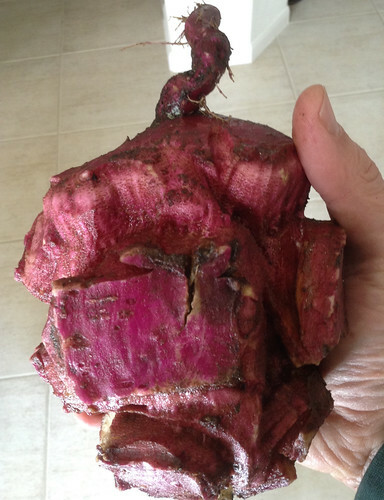 Sweet Potato tuber cut open, note they are not orange. 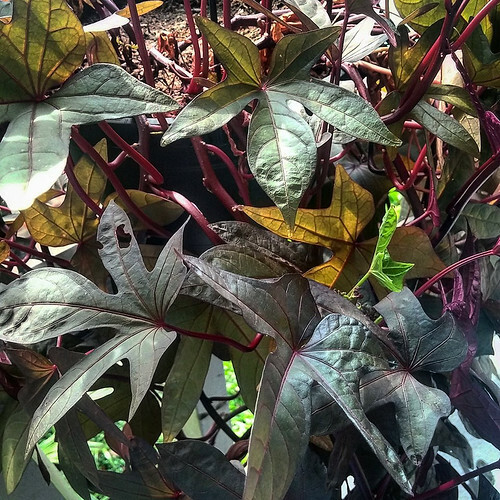 Purple Sweet Potato vines are the most nutritious of the different varieties. Picture contributed by Eric Cee of SPEAR Survival. 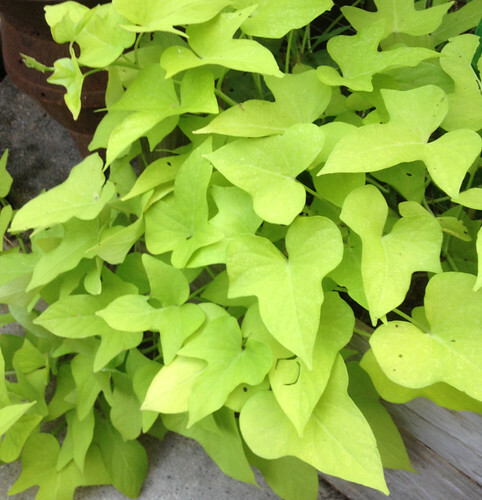 Few plants seem to thrive in the Texas summer heat like Sweet Potatoes. 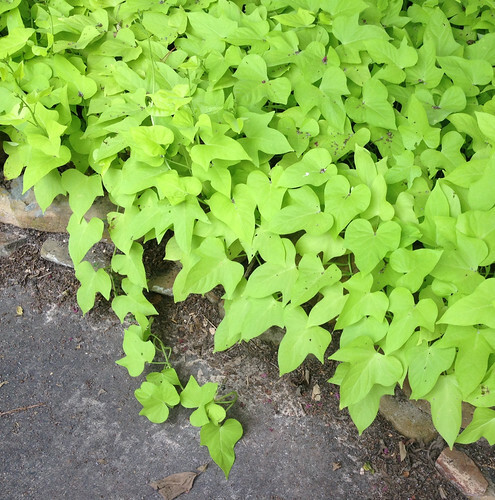 There prolific, yellow-green vines explode in late June and on until cold fall weather (if any) appears. In a sheltered spot they can ever survive all year long in Houston and locations farther south. This durability, low water requirements, and resistance to the sun's burning rays make them an extremely popular, low-cost landscaping plant...resulting in highly nutritious food all over the place! While the young, tender leaves can be eaten raw in salads and on sandwiches, most people prefer to make them more tender with a quick boil, followed by sautéing them in butter with onions, garlic, or other herbs. Think of the leaves as another spinach substitute, though Sweet Potato leaves don't shrink up nearly as much as spinach. 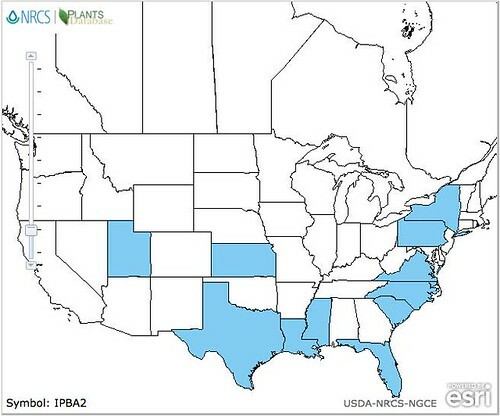 The tubers of decorative Sweet Potatoes lack the huge quantity of vitamin A (and its resultant orange color) found in Sweet Potatoes raised specifically as food. 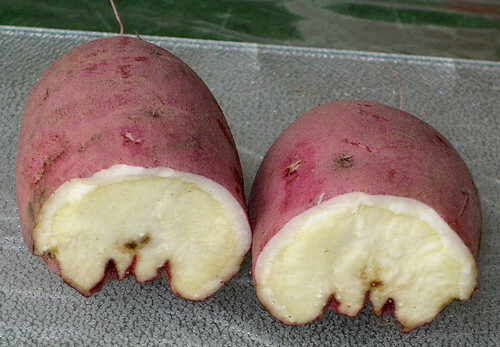 The fluctuations in available water cause these pale, though mineral and calorie rich, tubers to grow in spurts, usually resulting in cracked surfaces. While these fissures make cleaning and peeling the tubers somewhat difficult, they don't affect the flavor. Note though, the flavor will be somewhat "rougher" and less sweet than the Sweet Potatoes you are used to. The number of tubers per plant is much less than one normally finds with the food crop version but considering how many plants there are of this, if one falls the fall landscaping crew digging up these vines and replacing them with winter plants, you easily gather your fill! 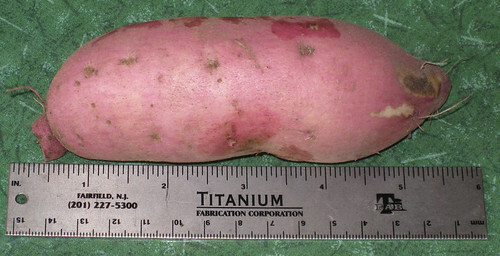 Also note, like regular potatoes, these tubers can be used to make alcohol. Woohoo!